As a former bouncer and bartender, Niels Jäger has been romping through Munich’s nightlife since he was a student. 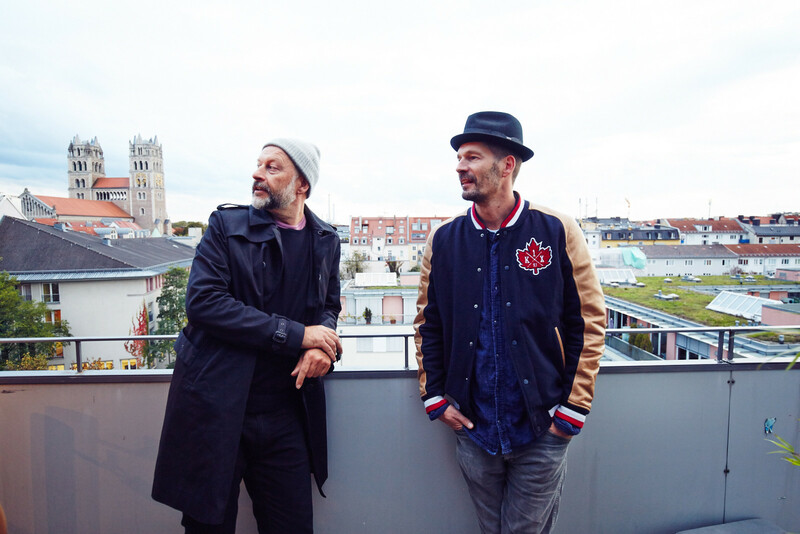 Shortly after graduating, together with friends Sascha Arnold and Steffen Werner, he opened the renowned Edmoses bar in 2006, which, located across from the notorious club P1, became a true Munich institution. This was followed in 2010 by Bob Beaman, a deep house and techno club. This year four more, very different, locations were added – from green juice store SUPER DANKE! to Stereo Cafe, from a farm-to-table restaurant Cantine Canrona to The Flushing Meadows Hotel & Bar. As a huge fan of basketball, Niels also does designs and directs for an international basketball brand. In the interview he talks about how he finds the time to do it all and why Munich is the best city in the world. 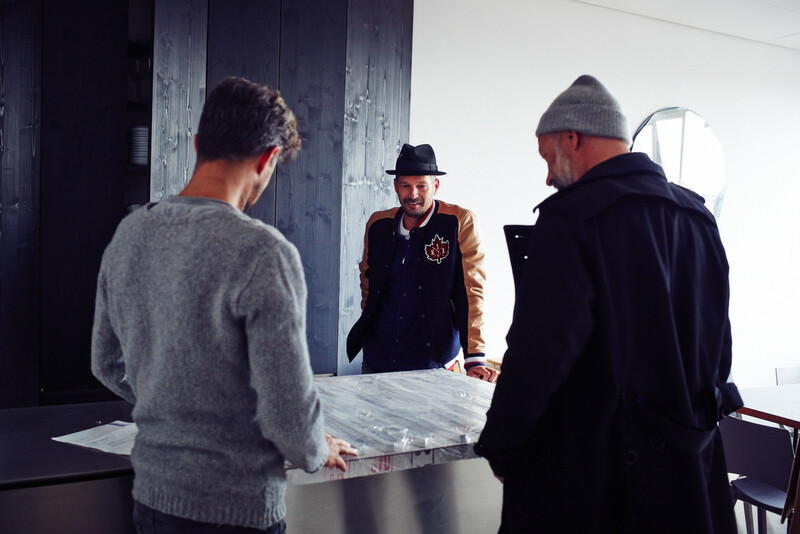 We meet with Niels in his home in historic Maxvorstadt, where he lives together with his wife and their two sons. When he moved in 12 years ago the apartment was huge, but it had to grow with the family – and after they had children, part of the kitchen was converted into a bedroom. You’ve lived in this apartment for a long time. What do you like most about it? The bare wall in the kitchen gives the apartment a lot of character. There used to be ugly woodchip wallpaper. I’m especially proud of my CD rack, which I designed myself – even if it’s a bit antiquated now, as I don’t even have a player anymore. In the bathroom I think the blackboard paint on the wall and the colorful fittings are pretty cool. As a big basketball fan, I always wanted to have an original net in the apartment. Now I have one in the room of my older son and in the evenings before going to bed I have competitions with the boys. My favorite thing to do is lay on the couch and watch TV series until late in the night: Boardwalk Empire, West Wing, The Wire, The Knick, Arrested Development. Unfortunately, I’m rarely at home and can’t really enjoy the apartment. I take the little one to elementary school, then I go either to Pavesi, a small bar on Türkenstraße that has really good coffee, or to Schumann’s where i like to read the sports pages and talk trash with the guys behind the counter. Then I drive to K1X headquarters near Theresienwiese and later to our AJW office in Lehel. On the way home I can check in on our locations to make sure everything’s in order. During weekends I’m happy when I can sleep in and have breakfast with the family. As a child you lived for a short time in New York. What was that like? I grew up with both my sisters in Olympiadorf. As a child it was great there because there was a lot of green and we could spend the whole day outside. Suddenly, we moved to New York because my father worked as an internist at a hospital. If you compare Olympiadorf to New York, it’s clear pretty quickly where you feel comfortable as a child. We spent two years in New York, my parents would have gladly stayed there, but we children absolutely wanted to come back. But then we could hardly speak German, so we went to the European School in Munich. There, at age 16, I started playing basketball with the school team and was immediately crazy about the game. I’ve always listened to a lot of hip hop, it often goes hand in hand. After school I enrolled for communications sciences. The course of study bored me like crazy, I thought it was more exciting to work in nightlife. And what happened with basketball later? The highest level I played at was in the third German division. I was never good enough to go pro, I guess started too late for that. When the sports channel DSF finally established US sports coverage, it was the most exciting thing in the world to me. One day, I walked into their offices and introduced myself and then went on to host a weekly highlight show named “Inside NBA” for them. It was like a dream come true. I frequently got to travel to the States and meet many of the teams and players I idolized, including legends like Jordan, Barkley, Shaq and the young Dirk Nowitzki. Basketball remains an important part of my life to this day. I design and market basketball products during the day. And after work, I try and squeeze in games of “3on3” on the small court at Alte Pinothek as often as I can. The competition is fierce and I really miss it during the winter time. 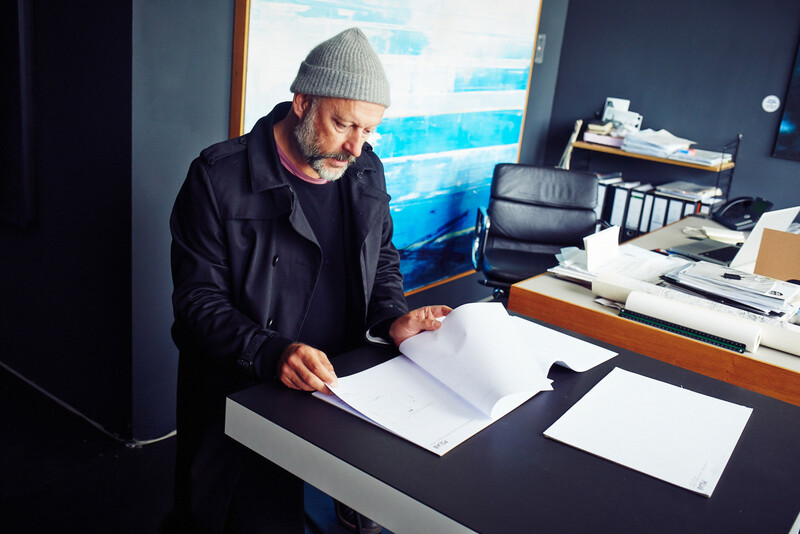 We meet the architect Sascha Arnold in the cocktail bar James T. Hunt. He and Niels he have known each other since their studies. Together with Steffen Werner, Sascha runs the architecture office Arnold/Werner, and since March their herbal liqueur, Urfelder No. 26, has been on the market and served at the James T. Hunt bar. The three colleagues and friends all live in Maxvorstadt, just a stones throw from each other. Above all, it’s very practical that they’re opening their fourth location in the neighborhood. What do you like about the Maxvorstadt? There’s a lot happening here in the neighborhood. Recently, a lot of good shops have opened, like Harvest, Sprout, BSTN and A Kind of Guise. Maxvorstadt is also developing gastronomically: Michi Kern is opening a new restaurant on Schellingstraße and the guys from Heyluigi just opened Katopazzo. There’s also a lot of art with the Pinakothek, the Museum Brandhorst and the Academy of the Arts, lots of students and lots of green, thanks to the English Garden and the old North Cemetery. You design the interiors of every location yourselves. What’s your favorite piece in James T. Hunt? Definitely the huge sofa out of buffalo leather. We had one of the best interior decorators for this – Geseke Wex. Even though it’s been used for a year and a half, it looks like new. We go just across the street and find ourselves in SUPER DANKE! , a small green smoothie shop. Over kale smoothies, almond milk and cold pressed juice, Niels and Sascha show us the building site of Cantine Cantona (which opened just last week!) and tell us about both projects. What excited you about the “green smoothies” project? SUPER DANKE! is the first green smoothie shop in Germany. We wanted to bring up the green smoothie concept without being too dogmatic or scientific. The branding should be right, the smoothies should be healthy, but also taste good. And what’s the idea behind Cantine Cantona? It wasn’t easy to get this beautiful space. It’s a former bakery, which is located on the corner of Schellingstrasse and Türkenstrasse – one of the most intriguing locations in Munich. 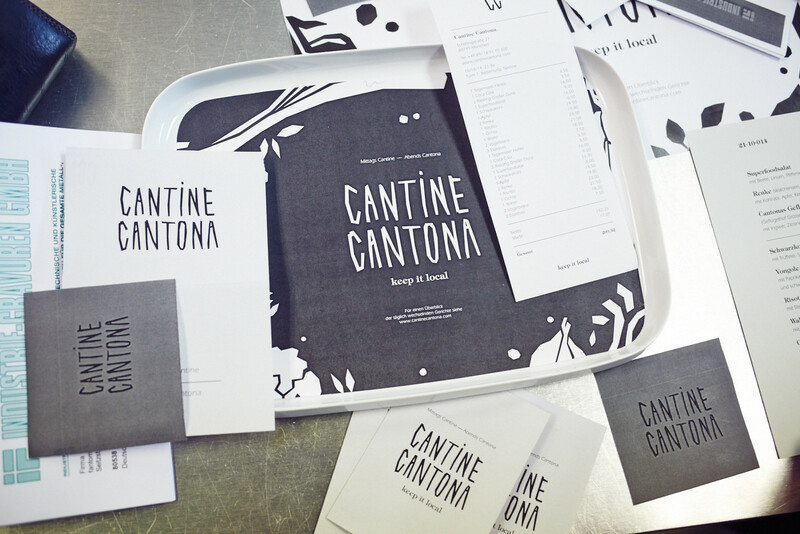 Cantine Cantona is a canteen with self-service trays at lunch and a restaurant for dinner at night. Combining both concepts was a logistical challenge. 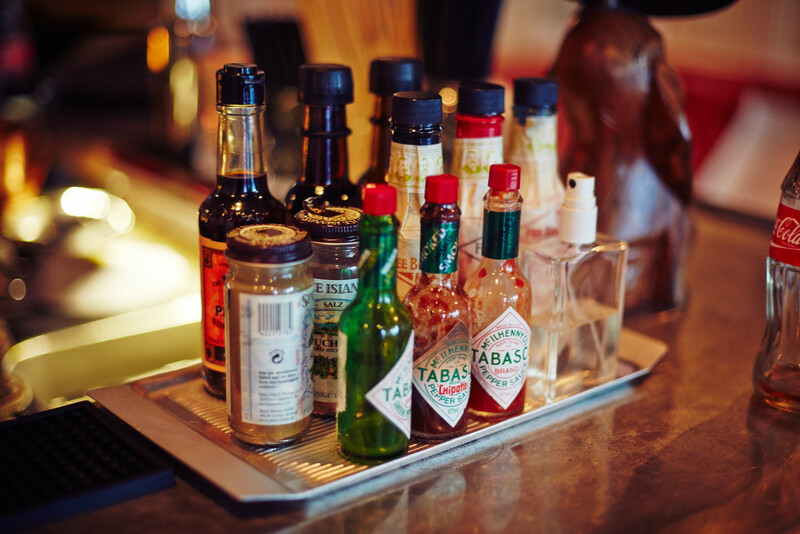 Our focus is to serve regional and seasonal dishes and drinks. This “farm-to-table” approach involves a lot research in regards to finding the best local suppliers, which inspire our daily menus. Is there an item of furniture you’re particularly happy with? Our tables! The table tops are made of soap-treated oak, the legs of untreated black steel. It was meant to be three legged, but it wasn’t stable enough. Now it has this knotted design. The chairs from Ronald Rainer fit perfectly. This “farm-to-table” approach involves a lot research in regards to finding the best local suppliers, which inspire our daily menus. And just on the other side of Odeonsplatz is another location – Stereo Café. Yes, we also started Stereo Café in Residenzstraße this march. We were quite nervous, as it was the first time we took on a project in such a high-end location. Our previous destinations were insider tips, more hidden. Stereo Cafe. located in a famous former confectiary, placed us right smack damn in the middle of Munich’s premier pedestrian shopping district. The ground floor is an upscale men’s clothing shop called Stereo Muc. We’re located on the fist floor, which is itself an obstacle for some guests who are not into taking risks. But our partner Felix has done a superb job in our open kitchen, and the place is usually packed for lunch. The space has a large studio window overlooking Residenzstrasse as well a large original 50ies mural behind the bar. There’s a courtyard sundeck out back, which serves as a relaxed oasis for shoppers. It’s cool to see that those who have discovered Stereo Cafe are keen to come back. Next we go to the office in Lehel. Next to the architecture office of Arnold/Werner, is Fantomas the graphic design office, run by Steffen. The shop sign for Cantine Cantona has just arrived. Between the outdoor furniture and the various table designs for the cantina, the three are branding the menus for the restaurant. You have so many venues, how do you manage to fit it all under one roof? Our middle management crew take a lot of weight off our shoulders. Rebecca does accounting, Hank handles events and way more, Gustav is in charge of personnel and Alex handles a lot of bureaucracy. Additionally, every shop has a manager who takes care of the day-to-day business. Regardless, our hands are always full with things to do, for example if there’s a personal problem or discussing the Bob Beaman bookings with our musical director David Muallem. There are a lot of details and decisions that we have to take care of daily. We are a good team, because everyone has their strengths. 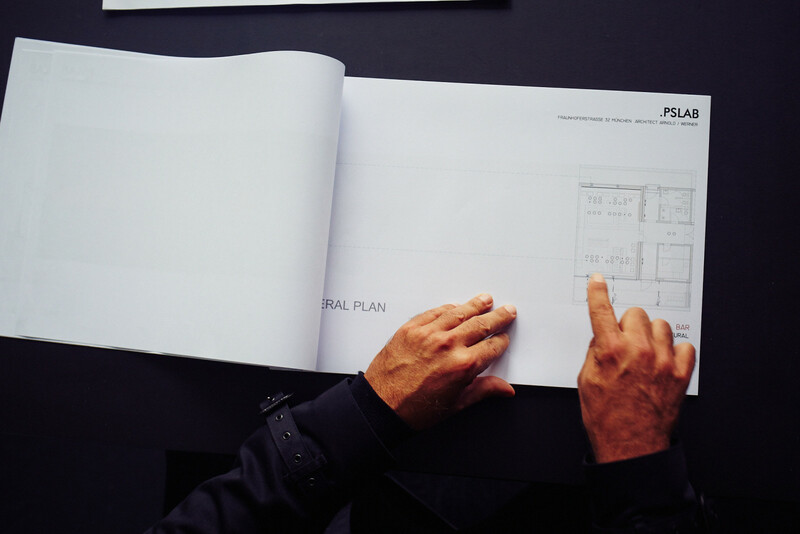 Steffen is good with numbers and strategy, Sascha takes care of the architecture and interior design while I do the marketing, communication and networking. 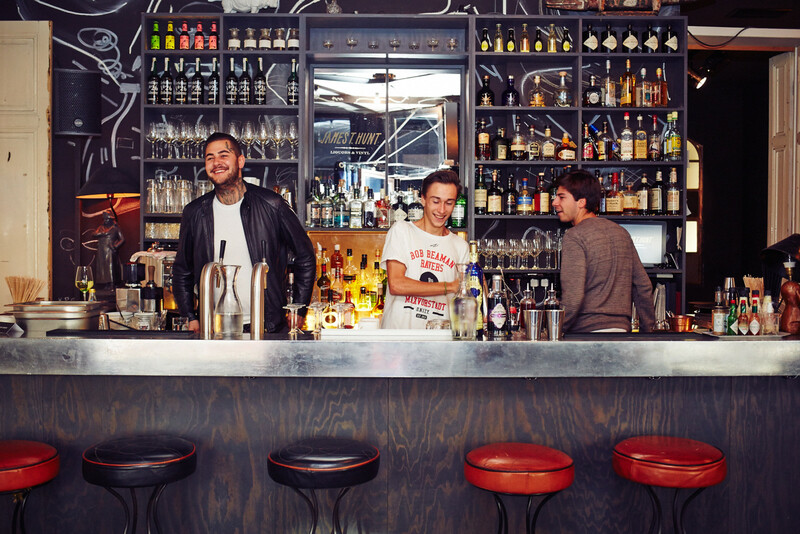 You’ve known each other since your studies – how did the opening of the Edmoses bar come about? Everything started 15 years ago, when Sascha and I were bartenders at Buffet Kull. We then went on to collaborate with the owners Rudi Kull and Albert Weinzierl on a pop-up club project in the opera’s former ticketing location we named ZKV, which really took off. 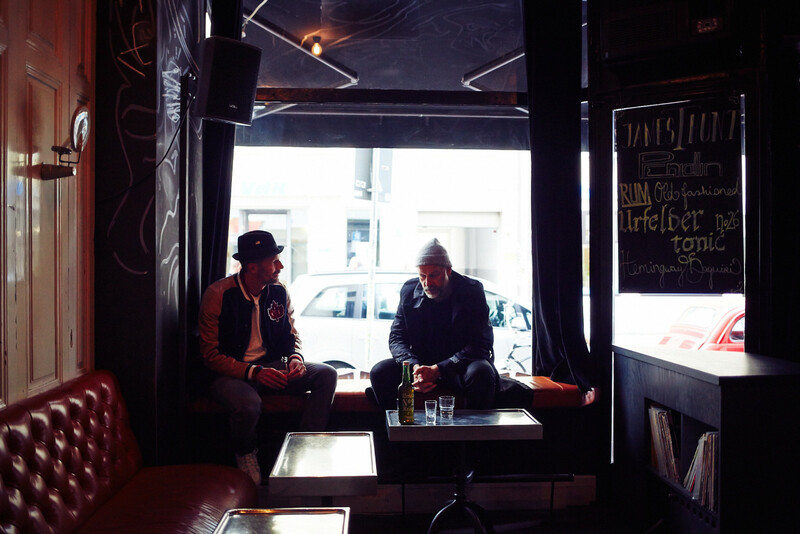 Several years later, we launched Edmoses on Prinzregentenstrasse – a music bar with a heavy focus on quality hip hop. Every gastronomist in town discouraged us from the project because the place was located in a dead corner. But we really loved the aquarium-like design of the space, also because it had a great garden. Edmoses quickly became a local favorite, packed every weekend. Unfortunately, we had to close it down earlier this year as our landlords needed the space back. At night we drive to the The Flushing Meadows Hotel and Bar, which extends over the top two floors in the Glockenbachviertel. From the outside it’s only possible to guess what’s inside. The door of the industrial building is reminiscent of a club entrance and the guys have covered the elevator with sheet metal from the former Edmoses bar. 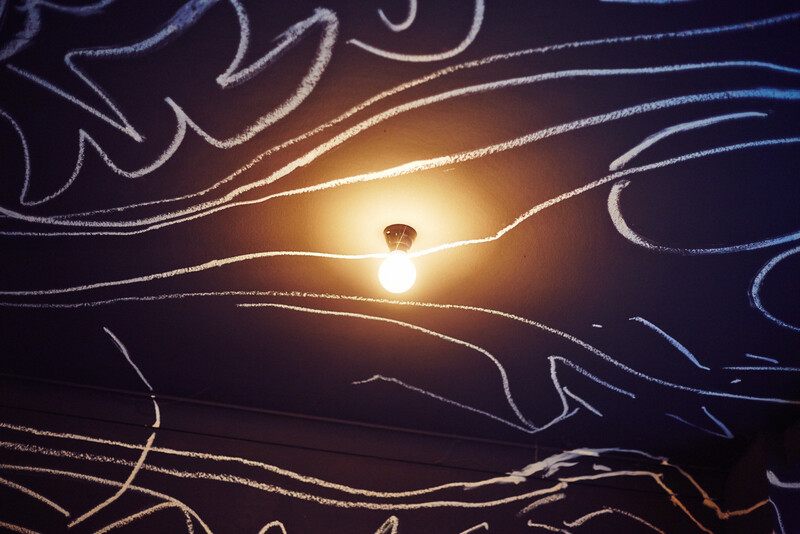 On the lower floor, every room is designed by a different creative – from Cathal McAteer, creative director and founder of Folk, to Michi Beck to Charles Schumann to DJ Hell. From the hotel bar’s terrace on the upper floor, there’s an incredible view over Munich, St. Maximilian Church and the mountains. Each room was designed by an artist, which do you like best? That’s a tough one. But DJ Hell’s room has a lot to offer. Hell went all out in the creation of “his perfect hotel room.” There’s a record player and a dope selection of vinyl, curated be Helli himself. Heavy black curtains darken the room, completely, if necessary – for him as a DJ and late riser this detail was especially important. The highlight is probably the three man band of life-size skeletons, which he built and installed himself, These “Hell’s Angels” are perched in a niche over the bed. He even created a stroboscope for added flavor. His room also features an oversized walk-in closet and bathtub. All bathrooms in the hotel have with Japanese tiles alongside copper fitting by Vola and natural amenities by Walachai. The bar has an incredible view. The bar is in the second floor of the hotel, on the fourth floor of the entire building. There’s an incredible view over the St. Maximilian Church and when the weather’s good you can see to the Alps. It’s almost always completely reserved. If you want to come by, it’s worth it to call first. The bar isn’t over crowded, you should always be able to move and the hotel guests shouldn’t feel restricted. Manu, the affable bartender, is known for his incredibly tasty and uncommon drinks – many of his own creation. Indeed when we visited, he created different variations of his winter drink with Urfelder No. 26 – one with hot pear and one with hot apple. Chilled out music played creating a calm atmosphere, but the night was yet young. Niels, on your website you write that, “Munich is the greatest city in the world.” In your eyes, what makes Munich so special? In my opinion, we’ve got it all. Except for the ocean and palm trees, of course. Other than that, it’s pretty much the perfect city. Cozy and happening. Big enough to meet new people. Small enough to run into old friends constantly. Munich comes with a lot of pride, takes good care of its traditions and has a vivid nightlife. Although there’s a healthy amount of competition in our field, it’s mostly in good nature, with a distinct sense of camaraderie and cooperation. The mountains and lakes are close by and Italy is right around the corner. On top of that you can do everything by bike. Or, in my case, if you’re too lazy for cycling, ride a Vespa. Munich is pretty much the perfect city. Cozy and happening. Big enough to meet new people. Small enough to run into old friends constantly. 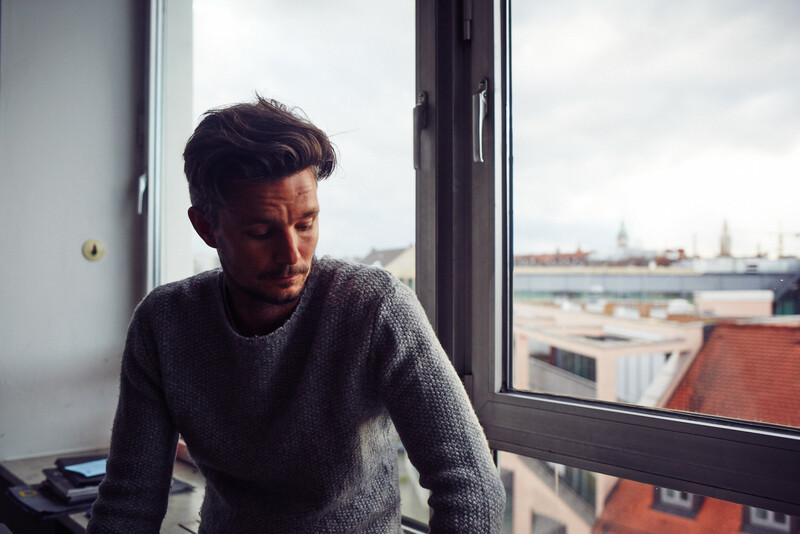 This portrait of Niels Jäger introduces the idea and concept behind The Flushing Meadows Hotel & Bar, his team’s diverse other projects and the current status of Munich’s creative scene. 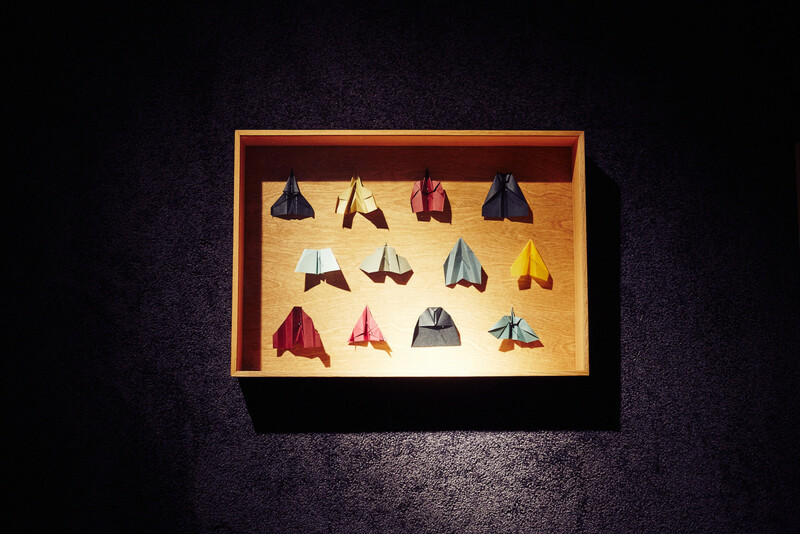 The production is enabled and supported by Design Hotels™. 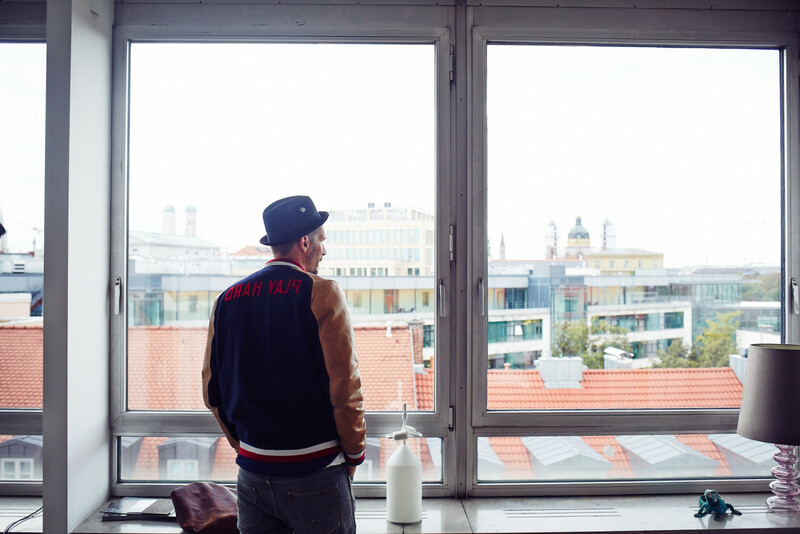 Interested in Munich’s creative scene? Find more FvF interviews with inspiring individuals here.